I actually haven’t got that many books this week. It’s the half-term holidays here in the UK (Yay!) and so now we all have to go back to school on Monday. I just basically spent the whole week revising and reading. I have so many exams coming up. Wish me luck – I need it. This is the last one in the Starcrossed trilogy. Sigh. I’m reading it right now and it’s living up to my (high) expectation. I’ve heard so much about this one – mostly about its cover. I heard that it was going to be a TV show on the CW but it didn’t get picked up. Sad face. I would’ve loved to seen it. Can’t wait to start this! It seems like a book I’d love and quite a lot of people have recommended it to me. That’s it. Those are all the books I got this week. Sigh. After I finished Sweet Peril I really didn’t know which book to start next – they all seemed so good! 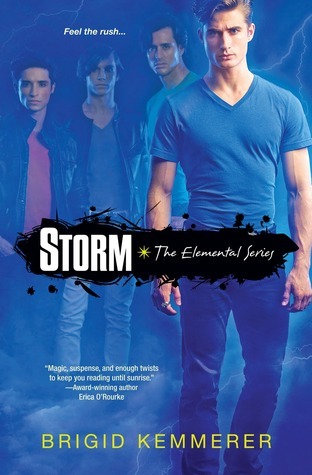 I decided to start The Selection, but then when I was like a few pages in I decided to start Storm. Then when I had read a few pages of that I was like: “Maybe I should read Goddess.” So then I started that. Then went back to The Selection. In the end I decided to just read Goddess because it’s a conclusion to a series whereas the others are beginnings. See, its times like these that I wish my older sister or any of my friends would read. That way I could’ve just asked one of them. So how was your week? What books did you get?